We offer a complete range of technology modules and comprehensive, integrated peripheral systems, which include handling of raw materials, processing and handling of residual materials, freshwater preparation as well as secondary process- and wastewater treatment. Since our technology is closely tied to individual production processes we are able to provide sustainable concepts designed to suit your particular needs ­– from single machines to complete waste-to-energy concepts. Bio Fuel As leaders in the pulp and paper industry (the original biomass sector) we implement our proven innovations into your biomass processes and operations. Almost all industries depend on electricity, heat and cooling to run their operations. 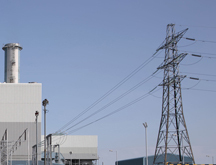 The costs for this power significantly affect the plant's profitability. Furthermore, disposal and handling for waste are becoming increasingly expensive, hazardous and sometimes prohibitive. Our solutions are designed to meet your individual process requirements. We provide solutions ranging from waste handling & processing modules, fuel preparation and storage systems to complete installations. 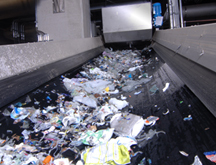 Recycling & Waste Processing Developing resources instead of creating waste is the core of our waste management philosophy. Utilizing a variety of technologies from dewatering and screening to metal separation and material shredding we provide optimal solutions tailored to your individual requirements or set-up. Our goal, to create value-added products from waste, can be achieved by combining our technological expertise with the specific requirements of our customers. We develop solutions ranging from recycling residual materials to combining recovered and processed waste to create new products and implementations. Special Conveying & Transportation Up and away! Material transport can move your business toward a more efficient operation. We strive to give you the maximum benefit by providing cost effective and time saving solutions. Our special conveying and transport portfolio ranges from special vertical conveyors (up to 90°), extremely versatile enclosed pocket conveyors for tight corners and long distances to container-to-rail solutions. 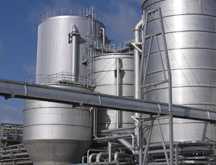 We provide special conveying and transport solutions for existing locations or new plant constructions.